Want tosave 5,95 kn on this order and become Loyalty program member? TRUE WHEY is a whey protein made of 100% whey by means of a CFM (Cross Filtration Method) method which is one of the highest quality processing methods. This product is characterized by: high protein content, BCAA content, less foam, excellent solubility, absorption and flavor. It is a Slovak product with an excellent amino acid profile and contains up to 8% leucine, the most effective amino acid of the BCAA amino acid, with strong anabolic effects. The stomach is the least burdened and is also suitable for beginners. 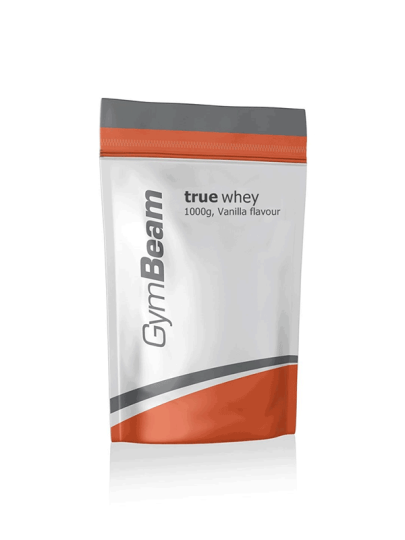 TrueWhey protein is obtained 100% from whey. High quality whey protein concentrate characterized by high protein content, depending on taste 75% -82%. The whey is completely instant and is obtained by the most modern method of the Cross Filtration Method (CFM). Such a filtering method ensures the most useful protein in all types of protein. Mix 25 grams (1 metric) of protein with 2-3 dcl of water in the morning on an empty stomach or after training. We do not recommend mixing it with milk, because it changes the nature of the product and its absorption.